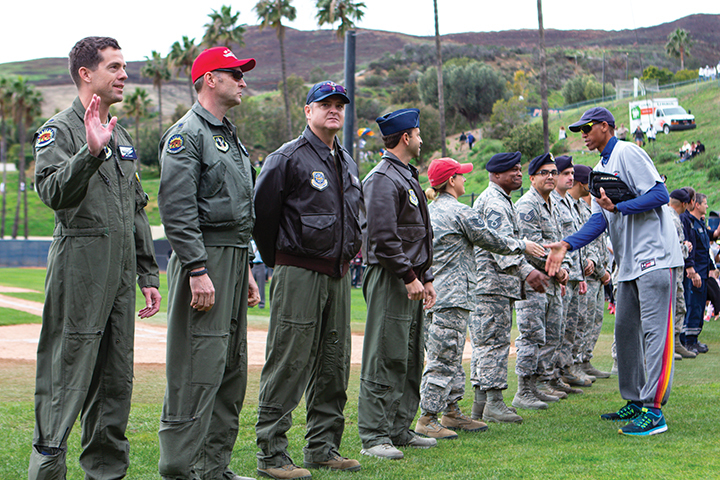 In response to the recent Camp Fire, Woolsey Fire and Borderline Bar and Grill shooting, the #CaliforniaStrong foundation hosted a celebrity softball game Sunday at Pepperdine’s Eddy D. Field Baseball Stadium. 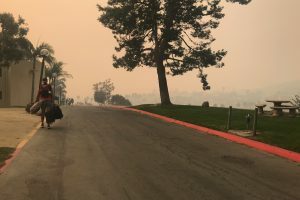 The California Strong movement exceeded their goals, raising $1.4 million and are continuing to take donations for years to come. Milwaukee Brewers players Christian Yelich, Ryan Braun, Mike Moustakas and Los Angeles Rams quarterback Jared Goff teamed up with Southeast Ventura County YMCA to create a widespread nonprofit effort for victims of these tragic events. 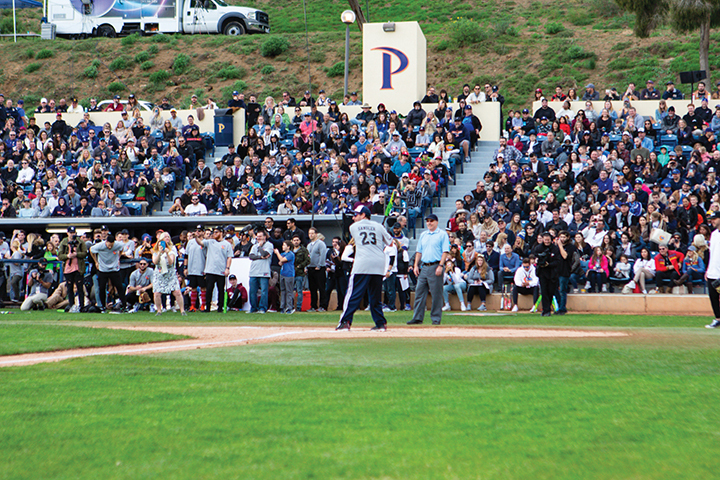 Locals, fans, and students piled into Eddy D. Field Baseball Stadium to watch some of the biggest names in sports and entertainment. Some celebrities who participated in the game were Jamie Foxx, Adam Sandler, Baker Mayfield, Reggie Miller and many more. A large majority of the celebrities are residents of the Malibu area and were excited to bring the community together after such tragedies. 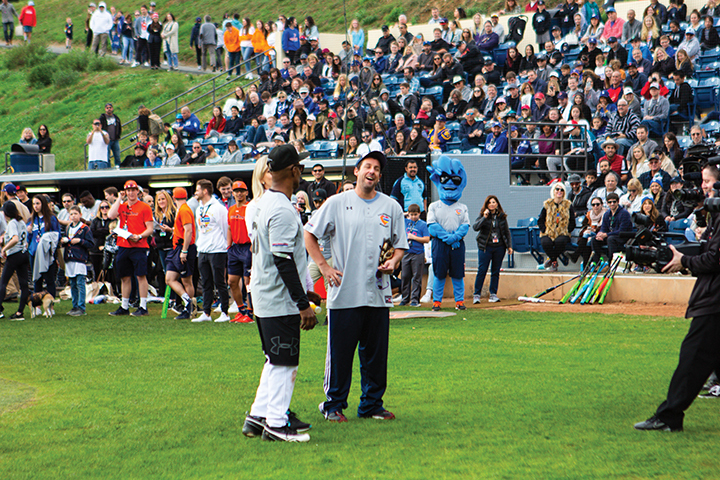 The game consisted of Team California versus Team Strong with the celebrities divided between the two. California started it off in the fourth-inning with a run from YouTube personality and actor Jimmy Tatro who later received the MVP award during the trophy ceremony. Team Strong brought the game to a tie in the bottom fourth with a run from actor Rob Riggle and then another at the bottom of the fifth from actor Jaleel White. The Cleveland Browns quarterback Baker Mayfield scored a point for Team California bringing the game to a tie at 2-2. However, California Strong came back with another point when actress Jaina Lee Ortiz scored, securing victory for Team Strong. 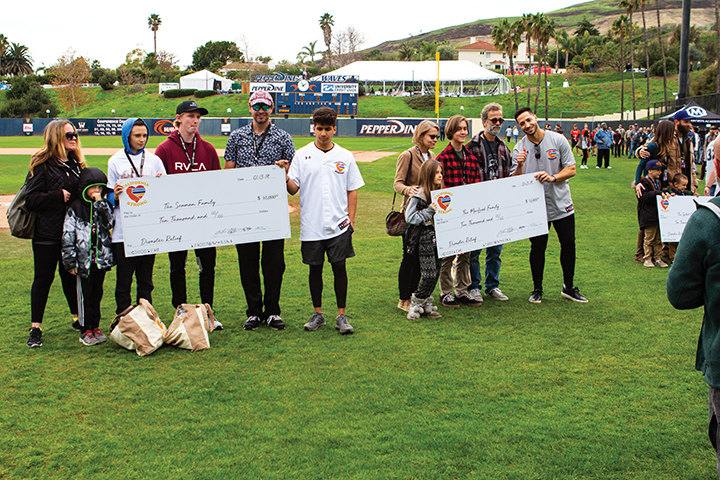 In-between innings the California Strong team presented $10,000 checks to families that were affected by the devastating events including a check to the Borderline Bar and Grill owner, Brian Hynes. The celebrities said they were impressed with the full stadium that they are looking to continue this as a new tradition. California is still on the road to recovery but with the support from the #CaliforniaStrong foundation, the funds raised will assist many people who were affected.